Mazda Canada Inc. today confirmed that it will launch its new Mazda6 sport sedan later this year, with a start scheduled for the end of summer 2008. 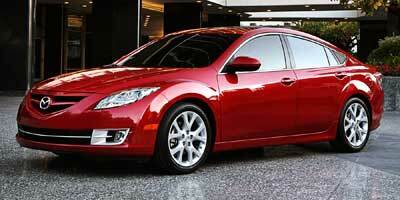 Expected 2009 Mazda6 is the very first model of vehicles of the second generation "evolved Zoom-Zoom" Mazda. Building on a heritage of saloons and sports cars that no other manufacturer can boast the second generation Mazda6 presents a mix of refinement, quality manufacturing and inspiration that is not currently on the market. "It is very important vehicle for Mazda Canada due to its considerable sales potential," he says Don Romano, president of Mazda Canada Inc., Denver, or the car was unveiled to dealers the company a day earlier the bringing together of Mazda North American dealers. "The category of intermediate sedans - in which the Mazda6 competes - is the theater of a fierce struggle, because some of the most remarkable vehicles industry are competing for sales The new Mazda6 was conceived and. specifically engineered for the North American market, as were his two immediate predecessors, and will face the best cars from Asia, Europe and North America. " Next track crossover SUV CX-7 and CX-9, the 2009 Mazda6 has been designed and manufactured according to the needs and desires of the North American consumer. As for the launch of the first Mazda6, all Mazda6 for the North American market will be built at AutoAlliance International, located in Flat Rock, Michigan. Mazda6 sold in North America differs from the car of the same name sold in the world in several ways: it presents an interior and exterior of a larger, more powerful owns and displays a unique style engines. However, it loses nothing of what deserves the first Mazda6 has more than 130 prizes and accolades, including "Best car family vocation 2004" awarded by the Automobile Journalists Association of Canada: it delivers a good dose Zoom-Zoom. The 2009 Mazda6 will be powered by an all-new MZR 2.5-liter 4-cylinder designed and developed by Mazda and a V6 3.7-liter engine as used in the CX-9 2008 vehicle that has won the securities Vehicle Sport / Utility of the year 2008 Motor Trend and Truck of the Year 2008 in North America. Gearboxes are offered a 6-speed manual or 5-speed Sport automatic with manual gear change (for the 2.5-liter engine) or a 6-speed automatic with Sport mode manual shifting (for V6 3.7-liter). The new Mazda6 will benefit from a fully independent suspension with disc brakes and four-wheel antilock braking system series. Like all Mazda vehicles, its balance, its dynamics and its bearing, combined with unparalleled reduction in road noise and vibration, the Mazda6 will have to stand out from the competition. 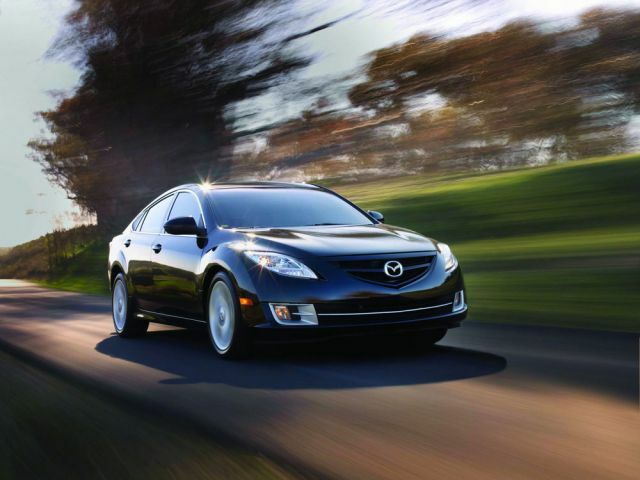 The 2009 Mazda6 will be offered in four-door sedan. Both engines, the I4 and V6 will be offered for GS or GT versions, accompanied by different levels of standard equipment and optional. More details on the new 2009 Mazda6 sport sedan will be available in the upcoming launch, including data on engine performance, the versions, equipment and price.